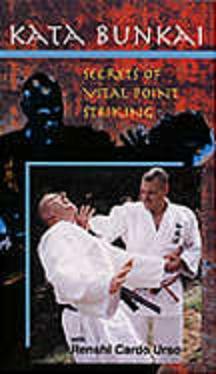 Learn the combat applications of karate the way they were meant to be taught. Renshi Cardo Urso, holder of multiple black belts and a senior close-combat instructor, unlocks the combat secrets of karate's traditional forms and teaches you how vital-pointstriking can be used to stun, cripple or kill an attacker in a matter of seconds. Color, approx. 75 min.